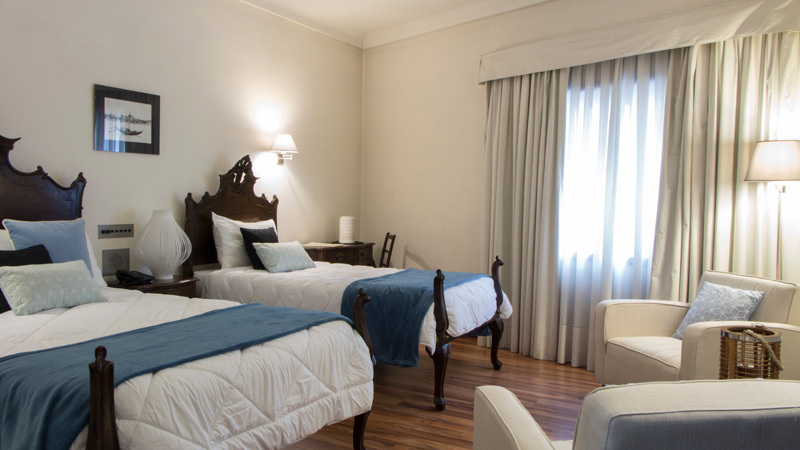 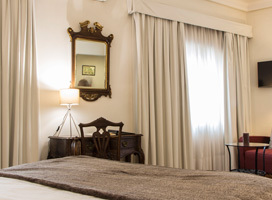 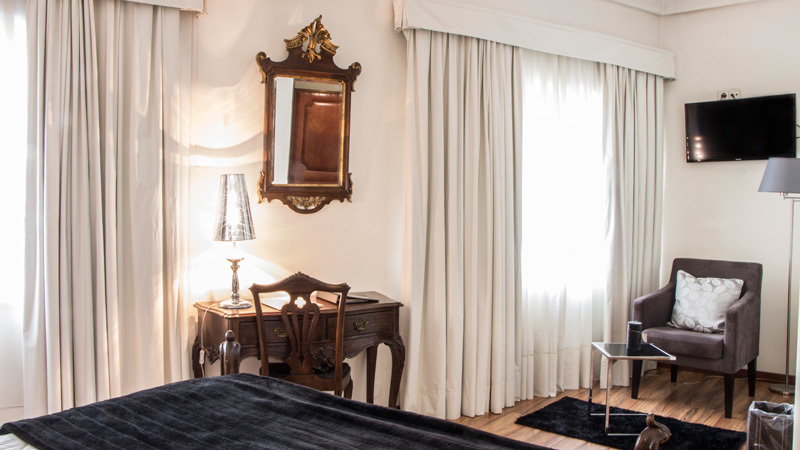 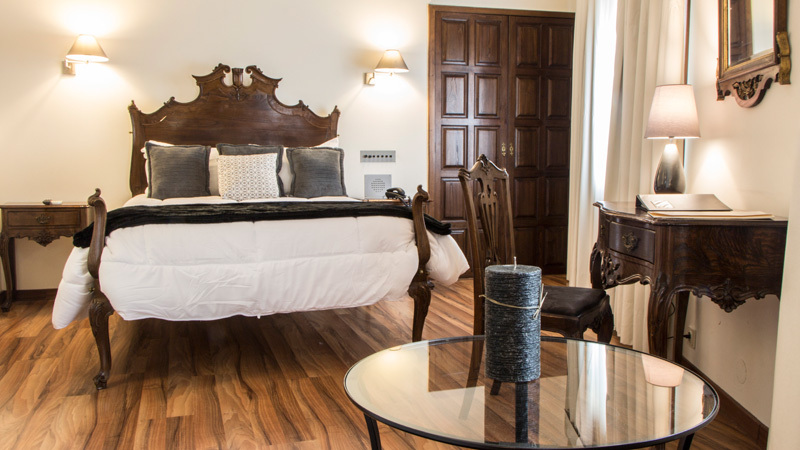 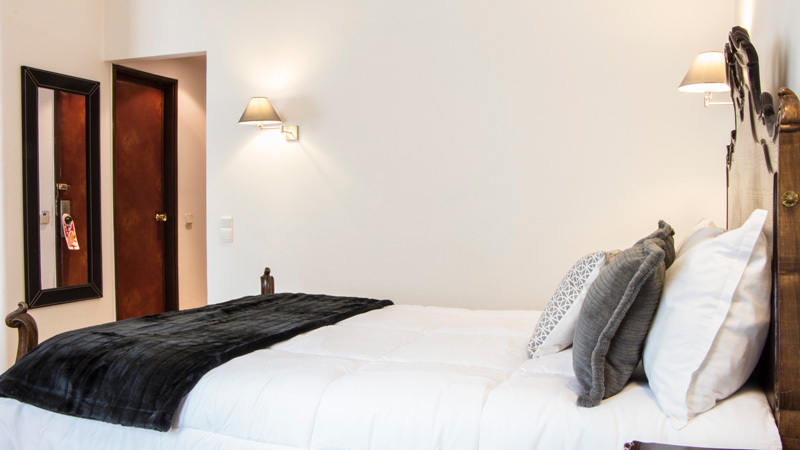 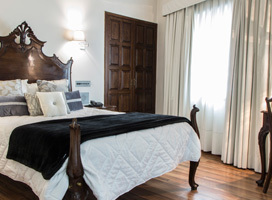 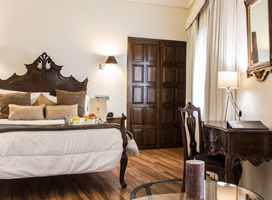 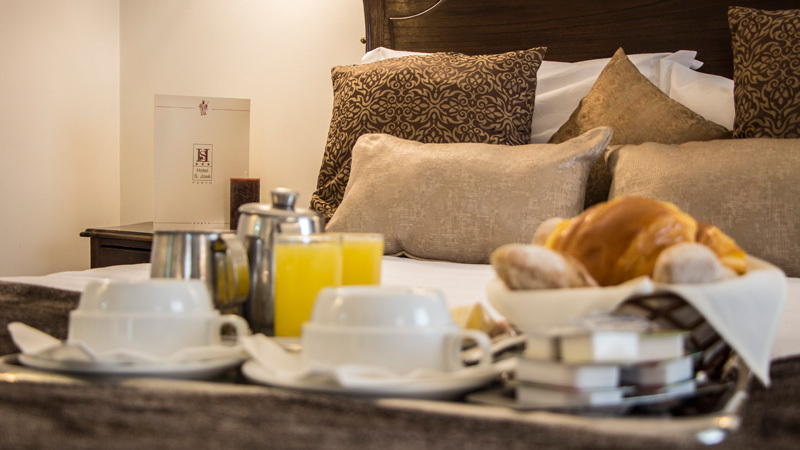 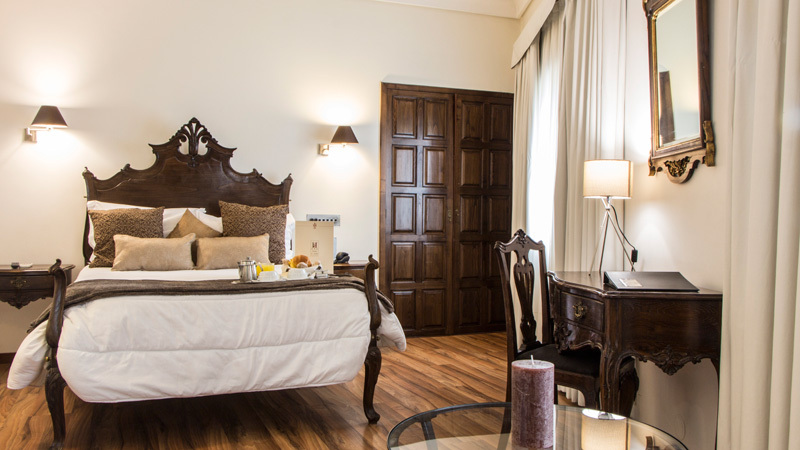 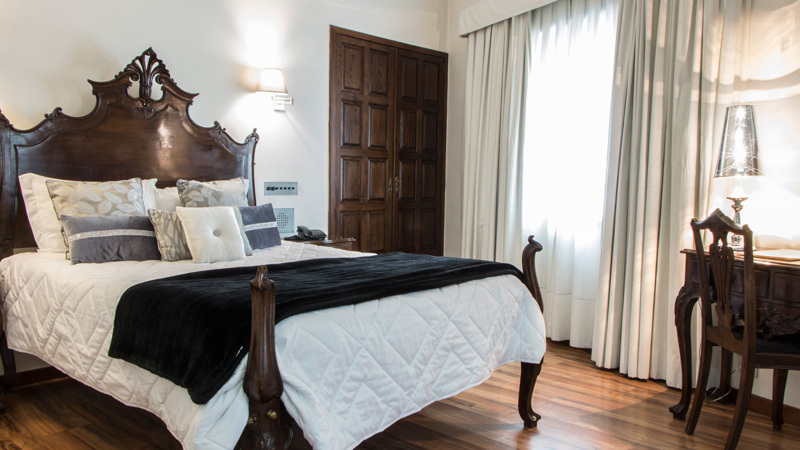 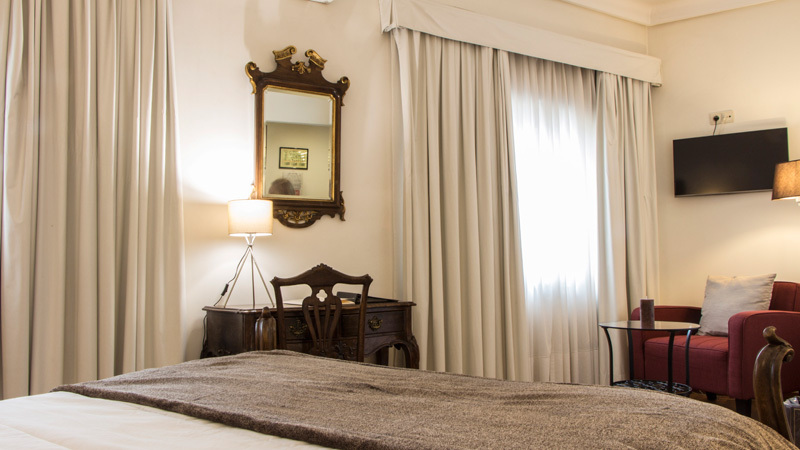 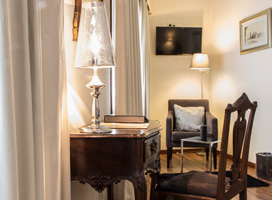 The Hotel S. José is a charming three star hotel which offers its guests a true taste of Portuguese style and tradition and has a good range of facilities. 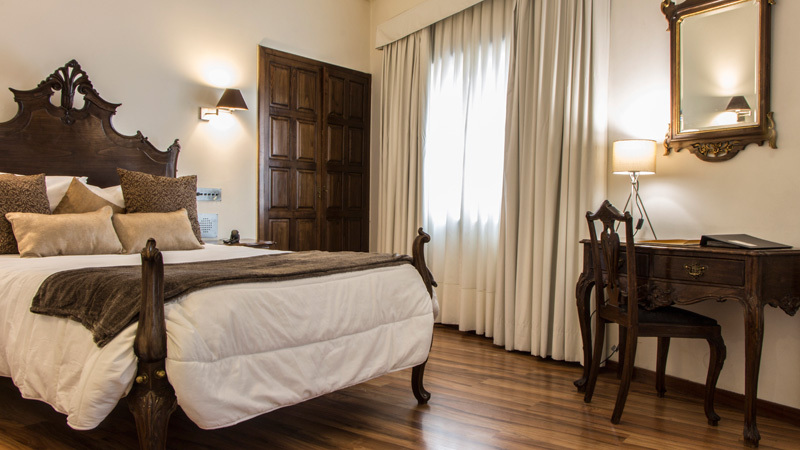 The Hotel offers 43 rooms and suites, all of which are equipped with air conditioning and private bathroom. 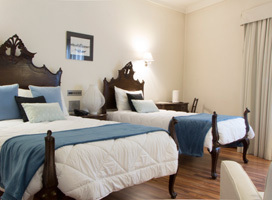 Most double rooms have twin-beds, some have a queen sized bed. 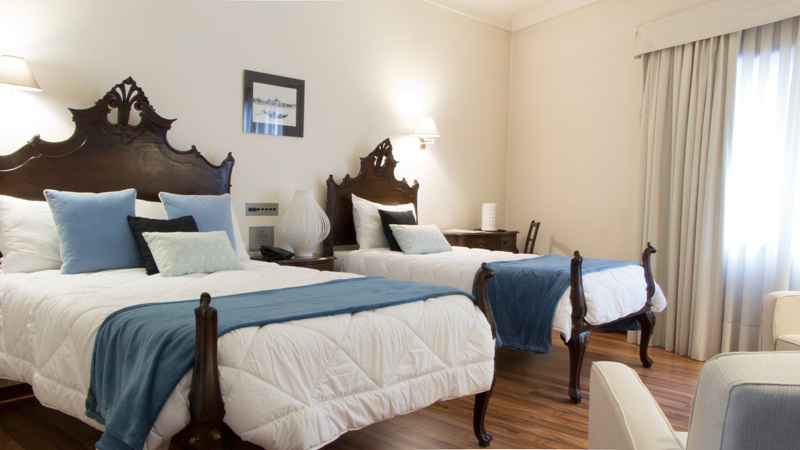 Rooms for small families or three people are also available with different combinations of single beds and queen sized beds. 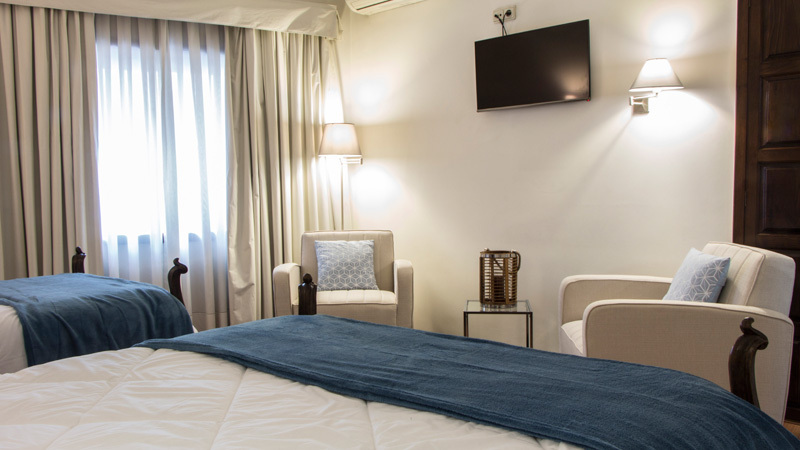 Suites are equipped with a king sized bed. 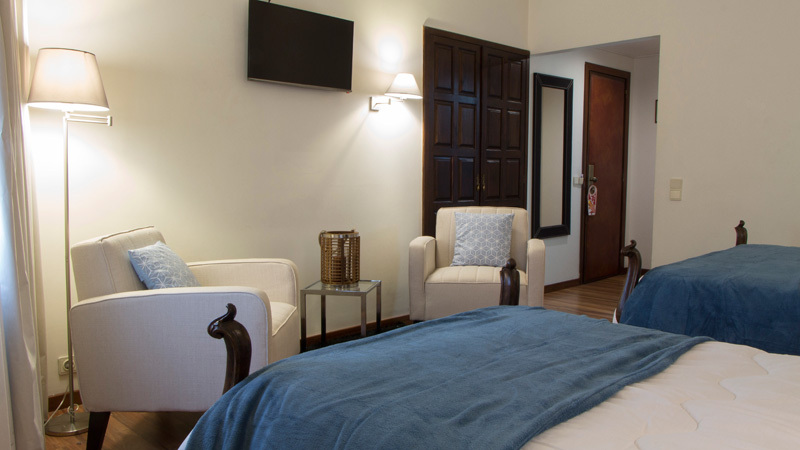 All rooms have air conditioning, private bathroom, telephone, Satellite TV and mini-bar. 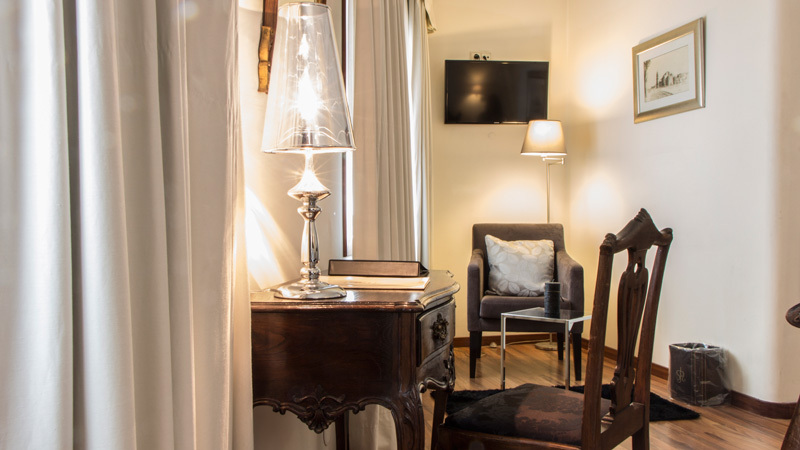 Free wi-fi internet access. 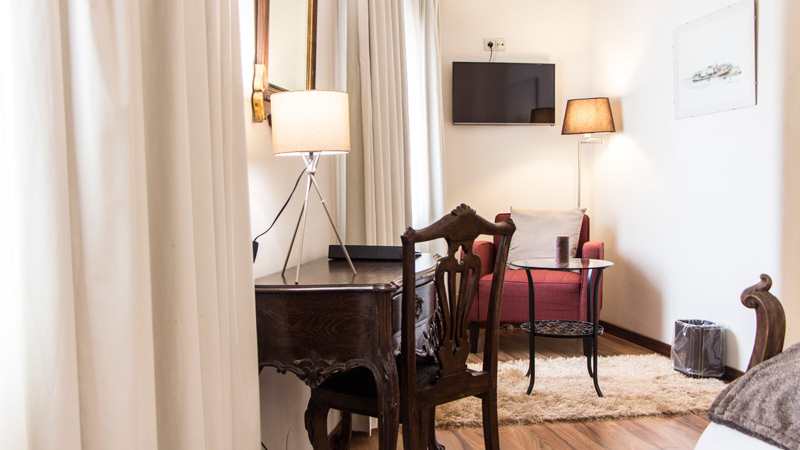 10 Executive Double Bedrooms, all with private bathroom, double bed, satellite TV, minibar and air conditioning. 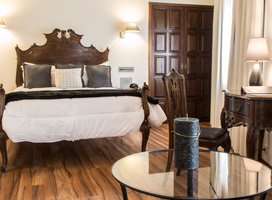 10 Single Bedrooms, all with private bathroom, double bed, satellite TV, minibar and air conditioning. 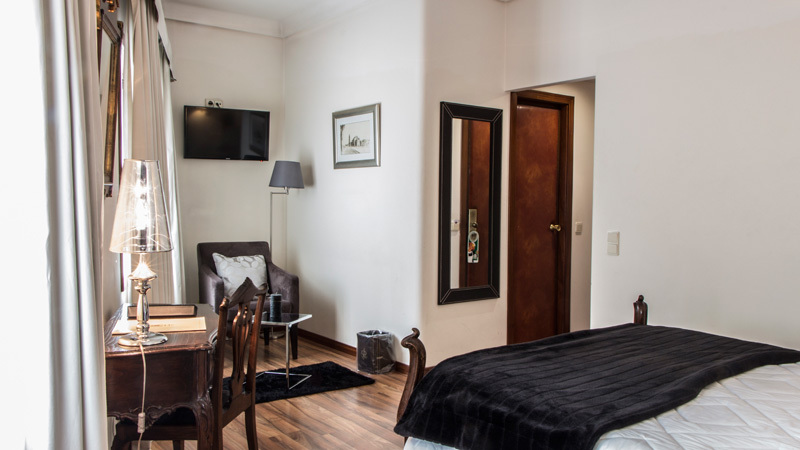 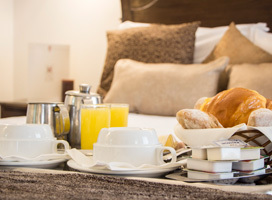 10 Double or Twin Room Bedrooms, all with private bathroom, double bed, satellite TV, minibar and air conditioning. 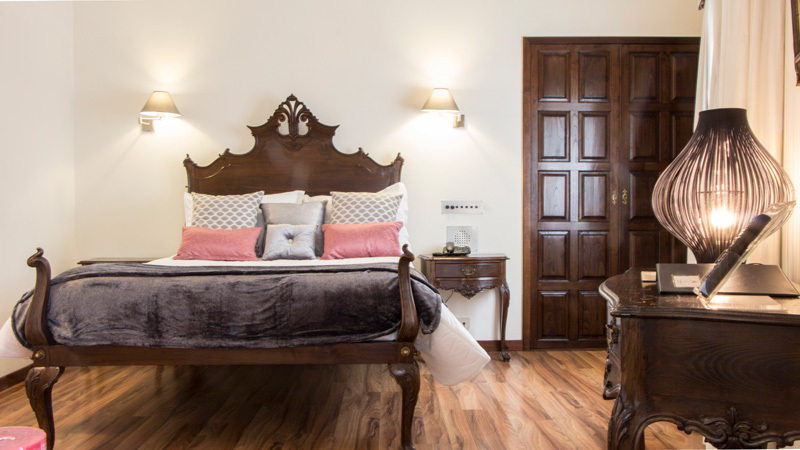 10 Triple Bedrooms, all with private bathroom, double bed, satellite TV, minibar and air conditioning. 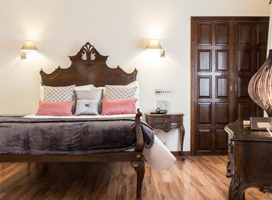 10 Family Bedrooms, all with private bathroom, double bed, satellite TV, minibar and air conditioning. 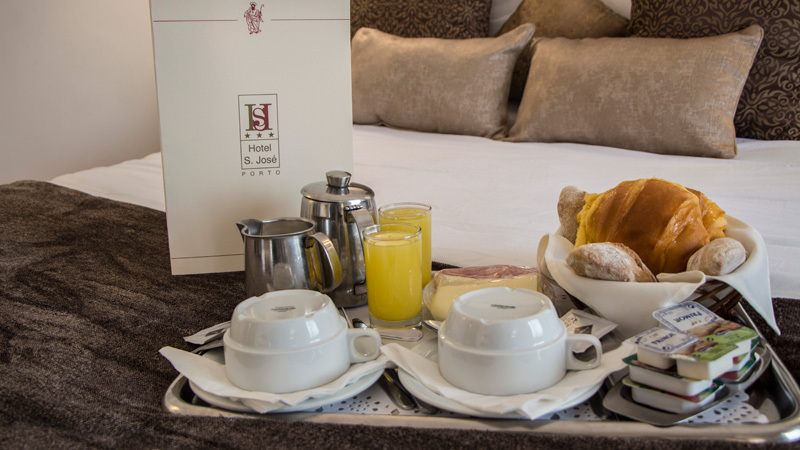 Want to receive our Exclusive offers? 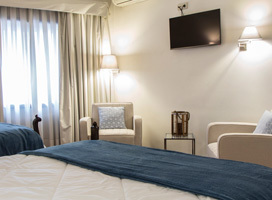 The entity responsible for processing your personal data is "Hotel São José". 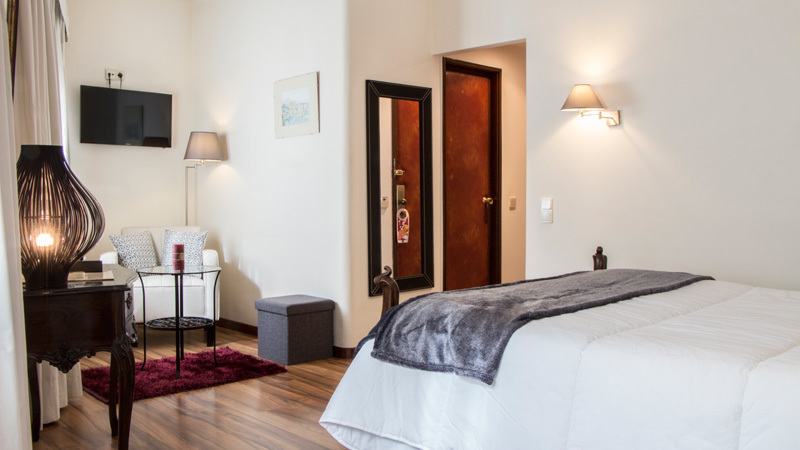 If they so desire, the owners of the data should request, to the email hotelsaojose@hotelsjose.pt the deletion of their data. 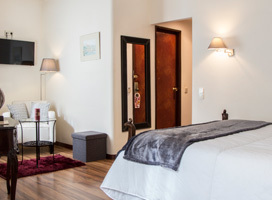 ©COPYRIGHT 2019 Hotel S. José - All rights reserved.